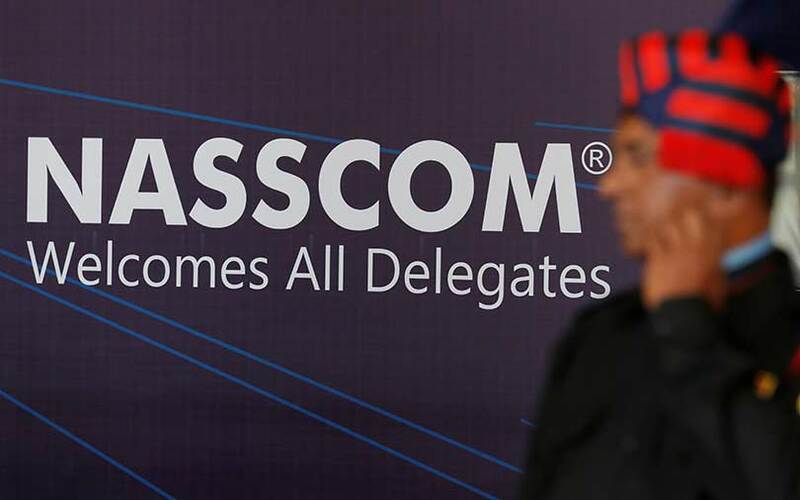 National Association of Software and Services Companies (Nasscom) and the Karnataka government’s second centre for data science and artificial intelligence in Bengaluru has recognised 10 companies for AI solutions ranging from remote monitoring to blood-pressure measurements. This is the first edition of the annual ‘Nasscom AI game changer awards’. The centre, which is Nasscom’s second such in the city, was opened earlier this month, TechCircle reported. The edition received over 300 applications, which were evaluated by a panel including professor Arnab Laha from IIM-Ahmedabad, Pushpak Bhattacharyya from IIT-Bombay and G Srinivasaraghavan from IIIT-Bangalore. IIIT is International Institute of Information Technology. Here is a list of the 10 winners that hogged the limelight. Flutura Business Solutions Pvt. Ltd: Flutura is a Texas-based machine intelligence company focused on enabling original equipment makers to create new revenue models around remote monitoring of assets and advanced analytics. It was founded in 2012. Its machine intelligence platform Cerebra claims to provide reliable industrial intelligence using IoT (Internet of Things) analytics. Flutura also works with facility management and manufacturing companies to help them monitor critical electrical and mechanical assets in large industrial and commercial facilities as well as manufacturing lines worldwide. Haptik Infotech Pvt. Ltd: Haptik is a Mumbai-based firm, which has AI-powered pre-trained bots bundled into a software development kit that can be plugged into any personal assistant app that aims to provide high utility in a conversational format. The entire roster of over 40-plus bots offers facilities like reminders, flight/cab bookings, bill payments and jokes. The startup was established in August 2013 by Aakrit Vaish and Swapan Rajdev. HDFC Bank: HDFC Bank’s Electronic Virtual Assistant (EVA) is an AI-powered automated customer engagement online chat platform. EVA, with its unique natural language and cognitive learning capabilities, answers customer queries instantly in a personalised manner, minimising human intervention. EVA has enabled the bank to save on operating expenses and improve customer satisfaction. IBM India Software Labs: IBM’s solution, using IoT to analytics to cognitive tools, optimises performance, quality and availability of high-end robots used in welding, painting, assembly and other shop-floor operations. Infosys: Infosys’s NiaTM Contracts Analysis has a bio-inspired design that uses deep-learning architecture at its core, enabling it to read contract documents the way humans would. The parallel neural pathways, with text- and vision-based prediction model, enable early identification of risks. LatentView Analytics: LatentView’s Smart Insights is a high-end analytics platform powered by advanced machine learning algorithms for connected vehicles. It uses curated IoT data from connected cars, analyses automobile and driver behaviour, including product usage and warranty claims data, thus reducing warranty claims considerably. Qure.ai: qER, the solution from Qure.ai, uses deep learning to prioritise head CT (computed tomography) scans by detecting emergency findings. Automated head CT scan screening is valuable for queue management in a busy trauma-care setting, and helps facilitate decision-making in remote locations lacking immediate availability of a radiologist. Qure.ai is a San Francisco-based startup founded by Indians. Samsung R&D Institute India, Bangalore: Samsung’s R&D Institute’s InstaBP is a cuff-less blood-pressure-monitoring app. It measures an individual’s blood pressure from his/her photoplethysmography (PPG) signal, which can be obtained from heart rate sensors present in smartphones. PPG is a simple optical technique used to detect volumetric changes in blood in peripheral circulation. It is a low-cost and non-invasive method. InstaBP, thus, makes it highly convenient for users to measure their blood pressure regularly and on the go. Staqu Technologies Pvt. Ltd: Staqu’s ABHED, a predictive and smart policing solution, uses machine vision and deep learning techniques to identify criminals/suspects in real time while routine checking, examining CCTV footage, etc. This makes policing proactive rather than reactive. This technology is currently live with the police forces of three states: Rajasthan, Punjab and Uttarakhand. Staqu is a Gurugram-based company founded in 2015 by Pankaj Kumar Sharma, Atul Rai and Chetan Rexwal. VideoKen Software Pvt. Ltd: VideoKen’s AI-based platform transforms the way we watch and learn from informational videos. Using techniques like visual classification and automated speech recognition, the platform automatically indexes the videos. It also summarises key topics in a video, enabling the viewer to jump within a video to his points of interest. VideoKen already has four granted US patents covering these capabilities.